Whether you bake a cake from scratch or stop by the local bakery– Adding a simple Ribbon Cake Banner as a topper is definitely going to make the cake even more special! 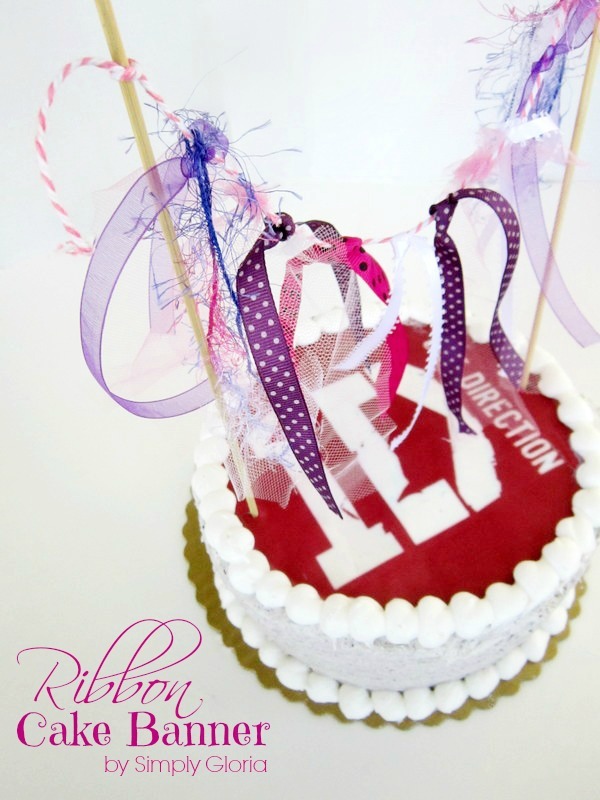 I had no idea where to begin on a specific request about a One Direction boy band cake. I was stuck. I then decided to not make the cake. Even I surprised myself with that decision. I thought the only way to make a cute, but not so cutesy cake for an 11 year old, was to simply go to the local bakery. But I would “create it”…without baking it. Then I’d still get some sort of credit, right?! The bakery didn’t have any designs of the sort. None. In fact, the one guy had no idea what I was talking about. So, I brought a copied image of One Direction for them to transfer onto rice paper. Boom! Cake was done and ready to pick up. But it needed to scream 11 year old girl all over it and make it even more special! 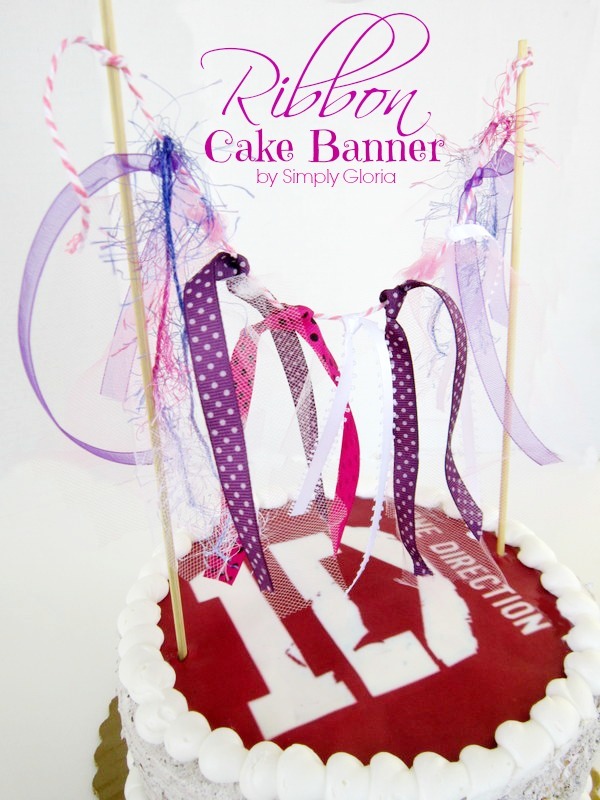 Making the Ribbon Cake Banner is very easy! All you need are some assorted (scraps about 5 inches long each) of ribbon, scissors, skewer sticks, and a piece of twine. I even had some scrap pieces of tulle. 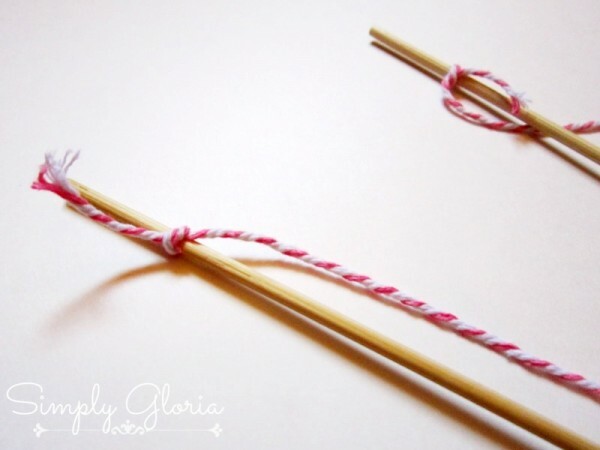 Tie the twine ends to both of the skewers. You may want to adjust it later to make sure it is not touching the cake after all the pieces of ribbon are on. 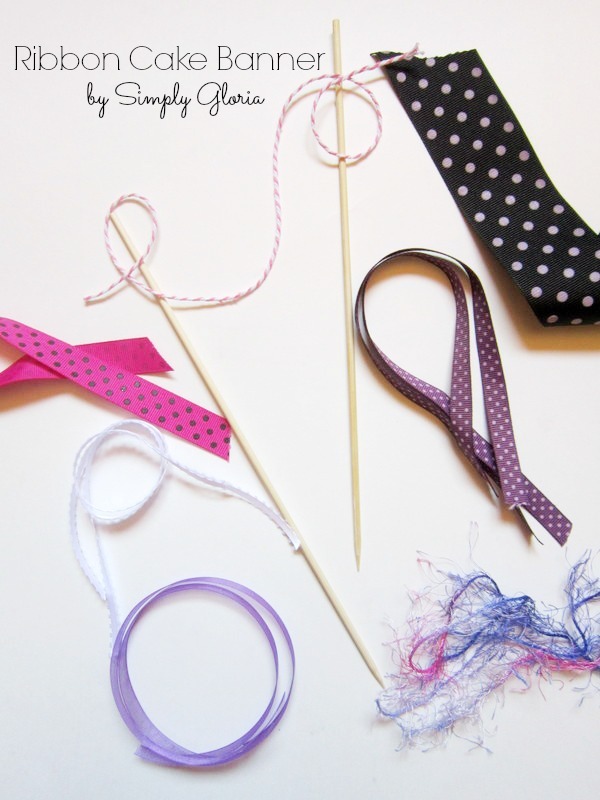 Just simply tie on each piece of ribbon to the twine. 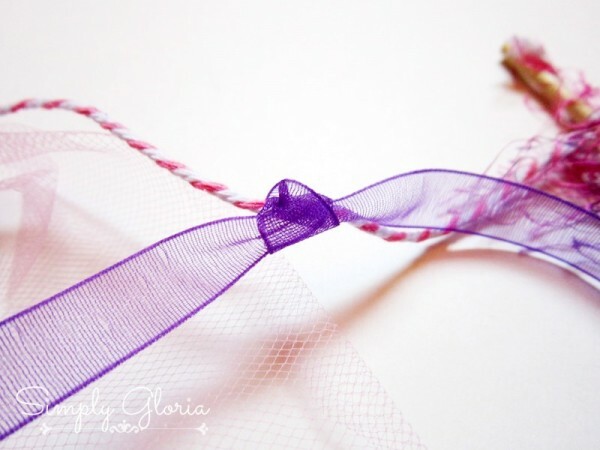 Simply tying the ribbon this way, makes each piece of ribbon adjustable to slide on the twine to where you want it to be. 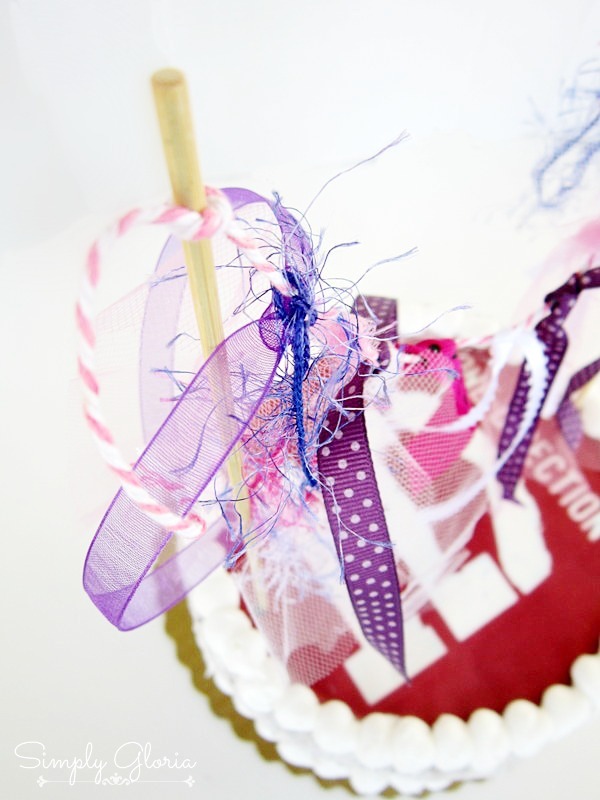 Stick the skewers into the cake and see your ribbon banner take shape! You’ll notice how it just makes the cake a little more special. There is one little note… make sure to take out the banner before you put candles in the cake to light. Unless you want even bigger flames to blow out! What is your favorite treat to celebrate your special day? Is it a traditional cake or maybe a pie? This DIY cake banner is so cute! ok- I can even do that! Maybe?! I’m not crafty at all, but anyone could this simple cute idea right?!! I love how cute this is!!! When I do projects like this, I think of my sister– she does not deal with a glue gun or sewing machine. And, she is so not on the crafty side. But my sister would do this project. Maybe when she’s super extra board and maybe in another life. This is the stinkin cutest thing ever!! 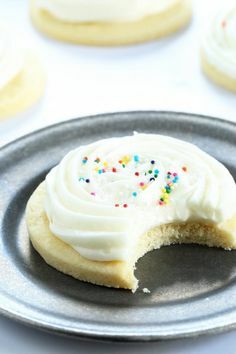 I want to make a cake right now just to make a cake banner! LOVE LOVE LOVE!! Oh, I hate that I have missed some of your posts with all of this catch-up! 🙁 This is such a pretty idea and I love how it looks! Definitely going to try this one on my next party cake. I made a little bunting today for a pie and my daughter didn’t get it….lol. Thanks for sharing and pinning! Hope you are having a happy Sunday! Fabulous idea! Next weekend when we will be celebrating my sisters birthday at Waterpark in Montana, I will make such a cute ribbon and add beauty to the cake. My sister is gonna like it!